Sinus bradycardia (which in its purest form means that the automaticity is simply diminished). Chronotropic incompetence (inability of the sinoatrial node to adequately increase its automaticity during physical activity). Sinus arrest & sinus pause (intermittent failures to discharge impulses). Sinoatrial block (delayed or blocked impulse conduction between the sinoatrial node and the atrium). All these conditions have been discussed in detail in the previous articles. Hence, sinus node dysfunction may manifest with any of the four abovementioned conditions. The majority of patients will experience symptoms, although some cases are asymptomatic. Symptomatic patients typically experience fatigue, dizziness, dyspnea, presyncope/syncope or diminished exercise tolerance. 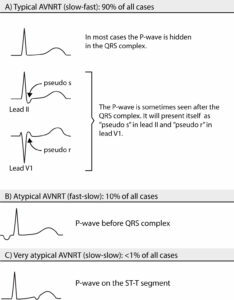 Whenever such symptoms are associated with ECG evidence of sinus node dysfunction, the condition is referred to as sick sinus syndrome. The causes have been discussed in each respective article. A rehearsal follows. Age-related degenerative disease (development of fibrosis) of sinoatrial node. Drug side effects (diltiazem, verapamil, beta-blockers, digitalis, amiodarone, klonidine, procainamide). Sinus node dysfunction is also associated with a high risk of developing supraventricular tachyarrhythmias, especially atrial fibrillation and atrial flutter. 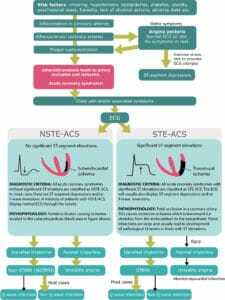 The condition in which sinus node dysfunction is accompanied by supraventricular tachyarrhythmia is referred to as tachy-brady syndrome, because these individuals are affected by bradycardia as well as tachycardia. Sick sinus syndrome is, if caused by irreversible conditions, a progressive disease which necessitates treatment. Implementation of an external artificial pacemaker is an effective treatment. 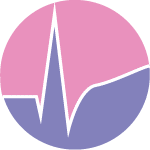 In case of concomitant tachyarrhythmia, the pacemaker allows for adequate (high) dosing of rate controlling drugs (e.g beta-blockers) without the risk of worsening the bradycardia. Persons with sick sinus syndrome should receive an artificial pacemaker in order to reduce symptoms and increase function. However, it should be noted that any bradycardia originating in the sinoatrial node is unlikely to lead to premature death. Moreover, it is still debated whether the transient periods of atrial standstill in sinus bradycadia is associated with an increased risk of thromboembolism. Pacemaker treatment is discussed in a separate article. Benign (physiological) causes of bradycardia (e.g vasovagal reaction, well-trained athletes) need not be treated. When in doubt whether the bradycardia is physiological, it is useful to perform a Holter ECG (ambulatory recording). 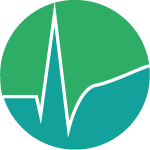 If drug side effects are believed to be the cause, it is fundamental to weight the risk of terminating drug therapy as compared with implementing an artificial pacemaker in order to be able to continue drug therapy. It is very common that patients with bradycardia have a strong indication for drugs that aggravate or even cause the bradycardia; in such scenarios, it is generally considered to be evidence based to implement an artificial pacemaker that will allow for drug therapy to continue. Terminate or adjust any medications that cause or aggravate the bradycardia. In case of acute bradycardia with circulatory compromise: (1) 1–2 ml of atropine 0.5 mg/ml is the first line therapy. It can be repeated if necessary. (2) If atropine is insufficient or require too frequent dosing, infusion isoproterenol should be given. An ampoule with 5 ml (0,2 mg/ml) isoproterenol is mixed with 245 ml glucose (50 mg/ml) with starting dose 0,01 μg/kg/min. This is titrated up until adequate effect is achieved. (3) If atropine and isoproterenol fails, it might be necessary to perform transcutaneous pacing (external pacing. Most modern defibrillators are equipped with ability to perform transcutaneous pacing. Transcutaneous pacing is only indicated until a permanent pacemaker can be implemented. (4) An alternative to transcutaneous pacing is temporary transvenous pacing, which is also indicated until a permanent pacemaker can be implemented. Permanent treatment: Permanent symptomatic bradycardias are treated with artificial pacemakers. Patients with chronotropic incompetence may require pacemaker to increase exercise capacity and reduce symptoms. Patients with tachy-brady syndrome may also necessitate rate controlling drugs (e.g beta-blockers) and anticoagulation (if atrial fibrillation or flutter can be verified). Patients with bradycardia due to myocardial ischemia/infarction only demand treatment if cardiac output is compromised or if the bradycardia predisposes to more malign arrhythmias (the algorithm above applies to this situation as well). Note, however, that bradycardias due to inferior wall ischemia/infarction is transient in most cases and rarely necessitate permanent pacemaker. Anterior wall infarctions, on the other hand, generally leave permanent bradycardia and thus demand permanent pacemaker. 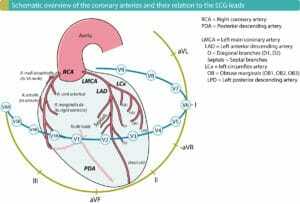 Learn more about conduction defects caused by ischemia and infarction.